Welcome to reporting day for January sales, where General Motor and Ford, roughly 30 percent of the U.S. car market, are not publicly sharing. Companies that have reported are mostly below forecast, with FCA and Nissan coming in well below. Considering current reports, our team believes both General Motors and Ford also came in at-or-below the 6.8 percent and 3.4 percent decreases forecast by Cox Automotive, respectively. Journalist Comment On January Sales Highlights. Sales appear to be coming in below expectations for a number of large manufacturers. The sales pace looks to be in the upper 16 million level, a level not seen since Summer 2018 when the SAAR fell to 16.7 million in July and August. Car share continues to decline sharply, although the drop has slowed for some OEMs, so we may be approaching the bottom. Record cold weather during the last week of January likely had a negative impact on sales. However, it was not just the weather. We also believe the government shutdown had an impact, from delayed purchases by furloughed workers to a more general feeling of uncertainty in the market. Consumer confidence took a hit in January, with both the University of Michigan and Conference Board’s metrics showing large declines. Lower optimism reduces the number of potential vehicle buyers, a trend we are likely to see more of in 2019. January proved to be weaker than anticipated for FiatChrysler, up only 2 percent. In contrast to previous months when Jeep was the champ, Ram saved the day in January with pickup sales up 19 percent. The redesigned Ram 1500 pickup, which had lower incentives than its prime competitors, has been winning critical acclaim and awards, including the North American Truck of the Year presented at the Detroit auto show in January. The Dodge Journey had a big month, helped by beefy incentives of up to $10,750 on some models. Hefty incentives didn’t help much for vehicles like the Chrysler 300 and aged Jeep Grand Cherokee, which offered incentives of up to $6,750, and the Jeep Renegade, which had up to $4,750 on the hood. Similarly, Fiat sales were down despite incentives of more than $6,000 a vehicle on some models. FCA saw a modest year-over-year gain in January driven entirely by fleet. 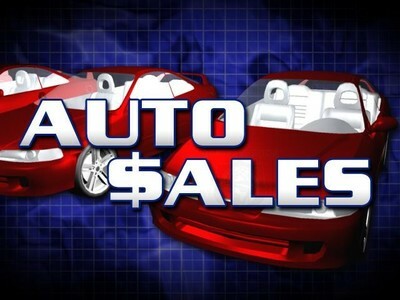 Fleet sales increased 50 percent in January, accounting for 23 percent of total monthly sales. As a comparison, fleet share in January 2018 was 16 percent of total sales, far below FCA’s typical average. So even though fleet sales increased significantly in a narrow year-over-year comparison, fleet share was consistent with FCA’s full-year 2018 fleet share of 21 percent. FCA retail sales decreased 7 percent. On FCA: FIAT/Chrysler came in below forecast in January, but I expect them to be back in forecast-beating form before long. Excellent new vehicles like the Ram 1500, Jeep Wrangler and Jeep Gladiator should be enough to carry the rest of the FCA brands, delivering more year-over-year increases in the next several quarters. On GMC: Pickup trucks will be a big story this year, so I think it’s worth noting that the GMC Sierra is finally coming into its own. It is different enough from the Silverado to justify one over the other. GMC sales could be a bright spot for GM this year, as we look forward to the Yukon and Terrain getting an upgrade similar to the Sierra treatment. Auto makers in January continued a relatively tempered, measured approach to incentives. Our team was tracking fewer programs in the month, notably fewer at Ford, which uncharacteristically held steady and offered fewer-than-normal regional programs. In January, lease pull-aheads remained popular and there was continued healthy spending on full-size pickups trucks, notably from Ford and GM, who both have money and programs in place on 2019 models to compete with the new RAM model which is offering less incentives due to a high consumer demand. The incentive business is experiencing a transition away from incentive promotion and toward a focus on monthly payments for both finance and lease deals. This is likely to combat the affordability issues and help consumer with budgeting for a new vehicle. Also, as more digital retailing solutions are offered, consumers are finding more transparency in the deal, with less emphasis on the amount of a rebate or incentive and more emphasis on the resulting monthly payment.